HOW DID YOU GET YOUR START AS A TATTOO ARTIST? ​Well, I've been drawing since I was old enough to hold a pencil as my parents have always been very supportive of my interest in becoming an artist from an early age. I told them when I was a teenager that I wanted to be a tattoo artist, but they were a little concerned about their sweet little girl entering such a "tough and dangerous" industry back then. It was also not a very common thing to see women in the industry at that time. So without trying to crush my dreams, they encouraged me to go to college instead, hoping that they had steered me in the right direction towards a career that (safely) satisfied my artistic passion. I graduated from the Art Institute of California, San Diego with a Bachelor's Degree in Fine Art and Design, majoring in Digital Illustration and Graphic Design, minoring in Marketing, Photography and Web Design. I stayed in the design industry for about ten years, jumping back and forth between freelancing and office jobs before I realized that that industry was just not for me. I had little to no ability as a graphic designer to do my own illustrations or express myself the way I wanted to with the body art that had always been obsessively drawn to from the beginning. So at twenty-nine years old, I finally set out to pursue my dream career as a tattoo artist. I worked an exhausting sixty+ hours a week at my full-time Graphic Design job as I secretly snuck away four weekday nights and two full weekend days to my apprenticeship. It was not a traditional apprenticeship, as I was one of many artists at my shop, with little guidance or supervision unless requested. This was the first time I really learned how to assert myself because I was more in love with tattooing than I ever could have imagined, and needed to learn as much as I possibly could. 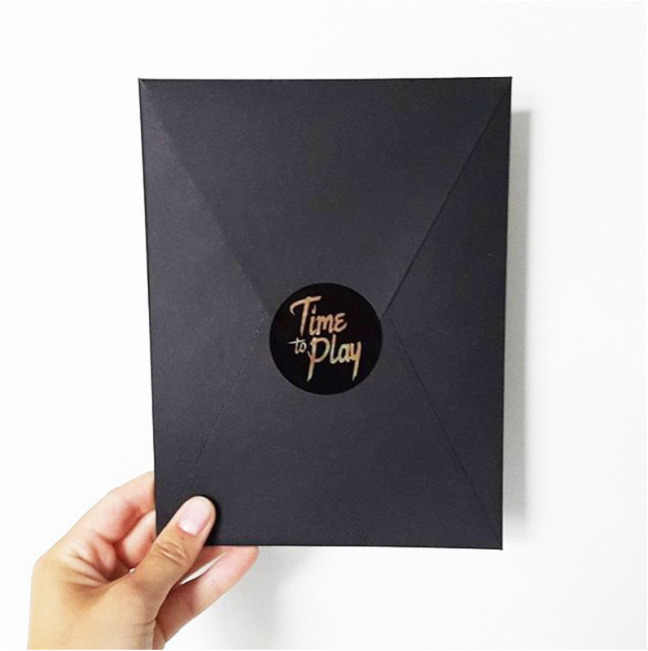 Luckily when I was finished with my apprenticeship, I recognized that it was a perfect time to start an online presence as an artist, and so I used this to my advantage by creating a memorable brand name for myself and by honing in on a style that I was not only in love with, but something that would resonate with my target market at the same time. 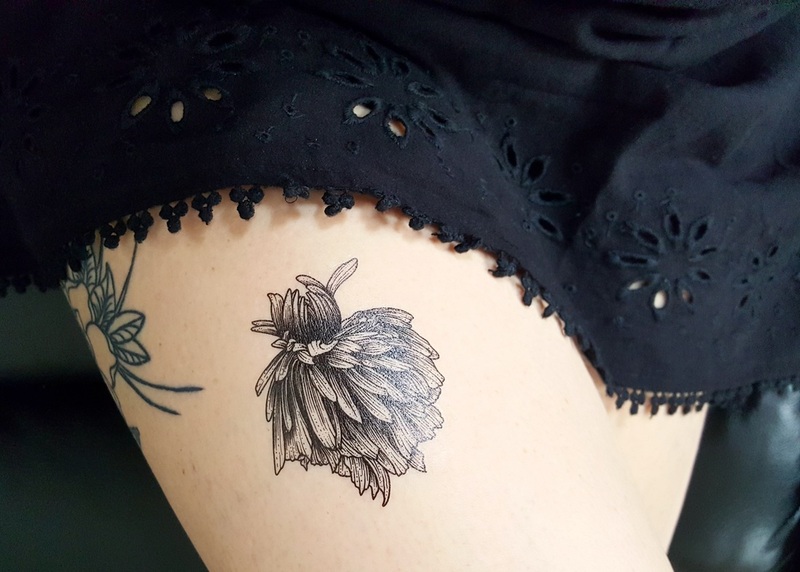 YOUR TATTOOS HAVE A DISTINCT STYLE WHICH YOU DESCRIBE AS “DARK ILLUSTRATIVE BOTANICAL TATTOOS”, WHAT HAVE BEEN SOME OF YOUR INFLUENCES? My love for Naturalism Art really got started in art history class in college. 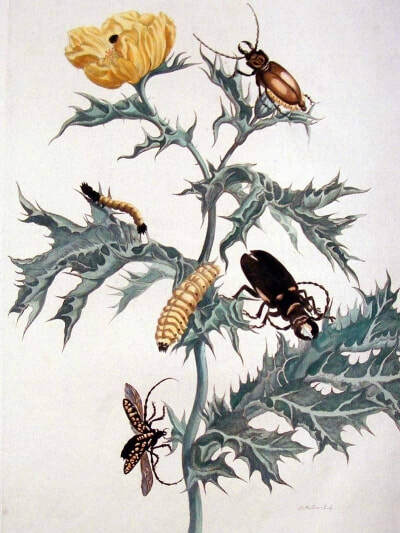 My eyes were opened to artists that my work is heavily inspired by today such as Maria Sibylla Merian, John James Audubon and Ernst Haeckel. Upon entering the tattoo industry, I have quickly become inspired by tattoo artists such as Kirsten Holliday, Kelly Violence, and most recently the Murray brothers. It's hard not to write laundry list a mile long with everyone who has inspired me along the way, but these few I mentioned above are the heavy influencers right this moment. I also wouldn't be anywhere near where I am today if it weren't for the influence and guidance of my tattoo family at Philadelphia Tattoo Collective: Evan Lovett, Benji Harris, Barnsey, Andrew Lally, Steve Bishov and Alexandra Fische. 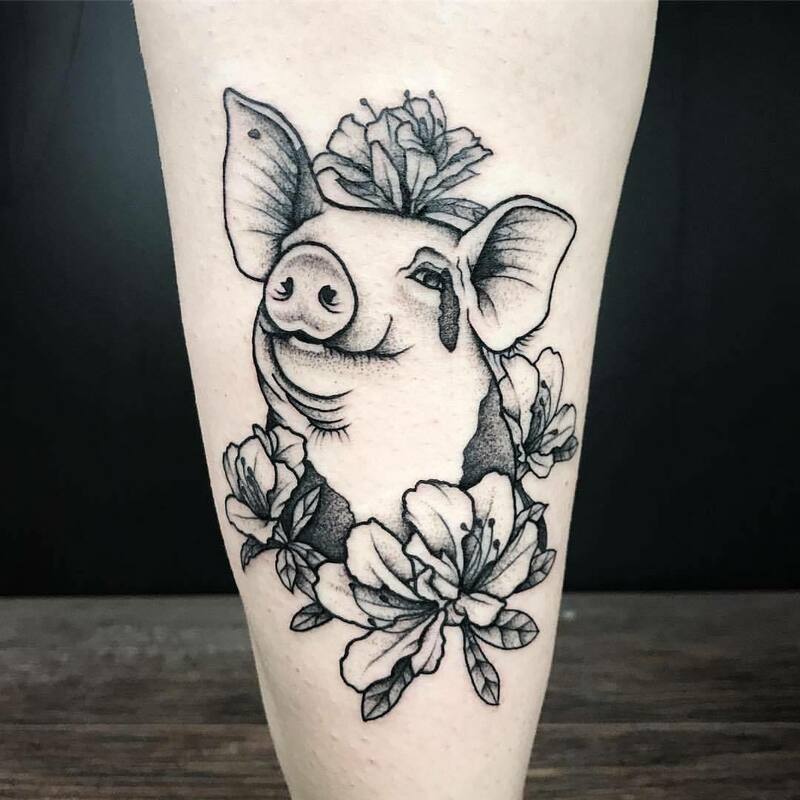 ANY ADVICE FOR VEGANS WHO WANT TO MAKE SURE THEY ARE STAYING ETHICAL DURING THE TATTOO AND HEALING PROCESS? I’M A FAN OF THE #QTTR HASHTAG TO FIND QUEER ARTISTS AND I SEE YOU HAVE QTTR IN YOUR BIO ON YOUR INSTAGRAM. HAS OPENLY IDENTIFYING AS QUEER HAD AN EFFECT ON THE CLIENTS INTERESTED IN YOUR WORK? WHAT CHALLENGES HAVE YOU FACED IN YOUR GROWTH AS AN ARTIST? Well, haha, it's never an easy job being a tattoo artist. There are so many more sides to this career than just making drawings and tattooing them on people. Many clients come to me after they have experienced trauma in their life, and are looking at this experience with me as a closure point in their healing process, and that was something that I didn't realize would affect me so much, being as empathetic as I am. Let's just say that it gets really heavy in the studio somedays. I also do a lot of self-harm scar cover-up work, and more times that not, those are the sessions that end hugs and tears between the two of us. It's an extremely humbling experience and I am so honored that I get to make that level of impact on so many people's lives. Well, it's changed a lot in so many ways. Female tattooers are more present than ever before, and technology has really allowed us to come a long way in regards to how quickly we are able to put our work at people's fingertips. I started getting tattooed over 14 years ago, and I ended up with some really terrible tattoos (that are now mostly covered) because I wasn't aware that there was anything past the flash on the walls that my local shop had to offer. Not that there's anything wrong with that, but it's nice now to see such a wide variety of styles from some seriously talented tattoo artists so that we can find artwork that resonates with us wear proudly for the rest of our lives. DO YOU HAVE A FAVORITE TATTOO (OR TYPE) YOU’VE DONE? DO YOU PRACTICE YOUR ART OUTSIDE OF TATTOOING? Yes, but not as much a I would like haha. It's most important for me right now that I spend as much time as it takes drawing every client's tattoo to perfection before moving on to working on my own personal drawings and paintings. WHAT ADVICE WOULD YOU GIVE TO SOMEONE STARTING OUT NOW? View the original interview on SecondSkin's website here! Before I get to exciting announcements, I would like to welcome you to my new blog! Things have gotten so exciting this past year that I decided to put all of my projects and adventures in once place for you all to see a little more in depth with full write-ups and tons of photos! 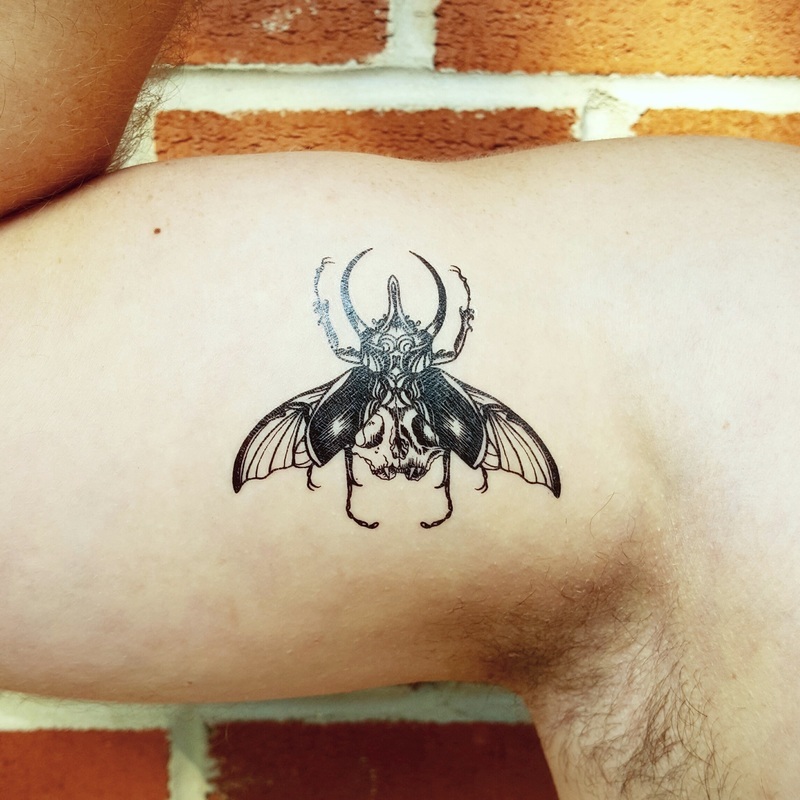 Now that introductions are out of the way...I am pleased to announce that I have just completed my first big collaboration with Montattoo to create temporary tattoos of my work! 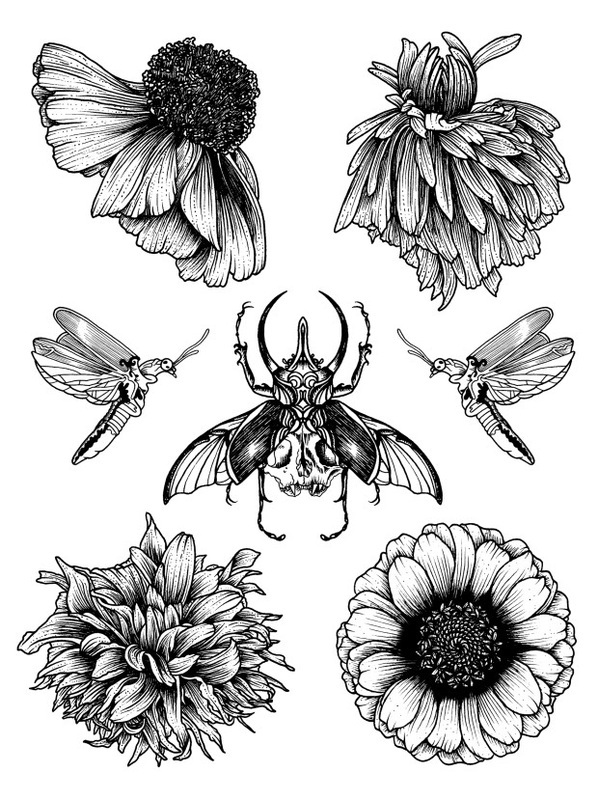 The full sheet includes 4 floral designs and 3 insects (pictured below) and is available for purchase now exclusively through Montattoo for $9.95 with free shipping worldwide. 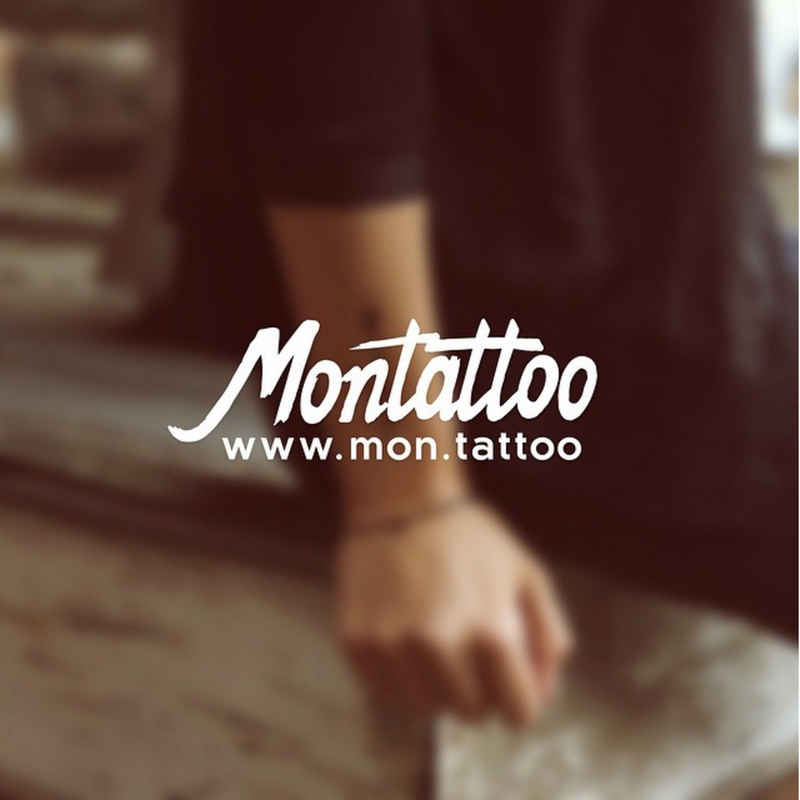 Thank you to Montattoo for making this such a wonderful experience for my first collaboration, I'll definitely be working with them again in the future as well as some new companies that I'm excited to announce later this year! Bright hair, bold personality. Tattoo artist, vegan, goth. Lover of music, coffee and the macabre. © 2018 Ruby Gore Tattoos. All rights reserved.